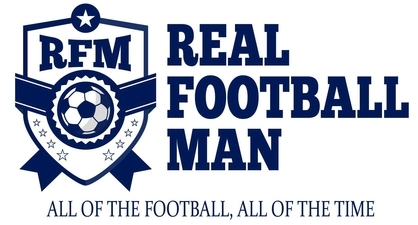 There are just a handful of hours now before the first gameweek deadline slams shut (which in itself is worrying as I am nowhere near doing my team) and with that it also means that I will be soon closing the entry window to join this season’s “Real Football Men” Fantasy Premier League competition. Thanks to all that have entered already, there were 50 at last count although in fairness I have not checked since last week so a few more may well have slipped in. But that’s not a problem because everyone is welcome up until tomorrow afternoon. The big question is can anyone knock David McDonagh off his perch this time around with the man creating something of an FPL empire what with back to back successes in this competition. With a largest ever field this time around it may be even harder to defend it once again. We had 35 entries last season but because I’m a statistician by trade I am not a fan of errand odd numbers, that meant that the first ever FPL relegation took place. Ultimately what this meant was that whoever was bottom at the half way stage was then dropped out of the league. Harsh perhaps but that way it weeds out the players who enter a team and do not try after the first couple of weeks and after the unqualified success of it last time around it will be making a comeback. Depending on the amount of sign ups will depend on who gets kicked out. For example I’ll look to work it back to a round figure – so if there are 57 entrants then 7 of you are getting relegated, if there are 63 entrants then 3 of you are getting relegated and so on and so forth. So that’s the only real rule, I reckon it will make things much more interesting. Anyway that concludes this last call for managers. Best of luck if you do enter and more importantly thanks. I now have to go off and rip my team to shreds after creating a first attempt which in all honesty is not fit for public consumption.